ICCA is a young and dynamic company focused on the development of technological solutions in the field of automation, systems integration and business processes at different levels of the value chain and the Industry sectors. The successes accumulated over more than 15 years of experience are due to the ability of ICCA to understand our clients expectations and shape these as requirements to follow in the execution of our projects. From our Engineering and Consulting divisions, we help our clients to lead their digital transformation strategy, the evolution of assets and information services in different areas, through a deep technological knowledge, the best methodologies, frameworks and Market tools. We offer a NEARSHORE delivery model, combining on-site presence and remote attention to optimize the cost-benefit ratio and maximize the return on your investment. Leadership in the markets in which we operate, and grow in new geographical areas through the diversification and specialization in the Industry 4.0. Keep confidence and presence in our existing customers maximizing the efficiency and quality of our solutions with focus on continuous improvement. Our ability to execute and the commitment we offer, makes us part of innovation projects and makes our Partners and Customers provide absolute confidence in us. We adjust to the needs of each project, achieving an optimal level of satisfaction in our customers, thanks to the experience of our team and the acquisition of new goals day by day. Our technological profile allows us to participate in the constant evolution that areas are subjected to, and, thanks to our work, we improve their actual situation, always offering innovative solutions. Innovate as a transforming element is something that makes us grow, but mainly grows those who trust in ICCA. Our dynamism and commitment doing things makes us put all our hopes in our projects, and this is reflected in our results and confidence that give us our customers. Focused on meeting client objectives. Achieve perfection in our work is our main goal. To do this, we have a great talent in our team, working with rigor, methodologies and tools to deliver maximum effort every day and best quality solutions to our customers. It is our main selling argument. Entrepreneurial spirit and Results orientation to achieve the objectives in the most efficient way and increase the added value of the processes and systems of our customers. We build a long term relationship and reliable with large companies and technology associations that are leaders in their sector, expanding our skills and knowledge to provide better solutions to our customers. 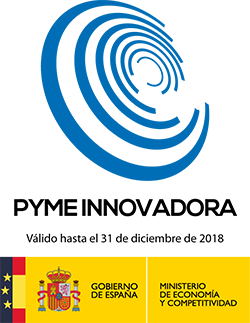 ICCA is certified as an Innovative SME by the Ministry of Economy and Competitiveness of Spain. We have participated and developed projects R&D+i at European level in the areas of Smart Cities (urban transport security, multimodal transport systems, energy efficiency). We have references in various sectors developing the project from the communications facilities to the implementation of monitoring and control systems. Development of specific OPC servers on any communications technology and protocol. Computer graphic design and usability for generating high quality synoptics. Partnership that allows us to access a wide variety of technological resources for the benefit of our customers and have a direct dialogue with the different channels of Oracle products to solve situations that require a high level scaling. Under our brand doITnearshore we provide nearshore consulting services for Oracle Fusion Applications and Fusion Middleware. As institutional partners, SPOUG gives us an approach to the current needs of the customers and users, and promotes innovation among the community to jointly address the major challenges that both customers and Oracle present us firsthand. It gives us an excellent opportunity to value our capabilities and experience, as well as the means to transmit to customers our dynamism, enthusiasm and commitment as an added value in everything we do and we propose. Our Cordoba´s headquarters are placed in Rabanales 21 Scientific-Technological Park, which is a research and innovation center where collaboration and entrepreneurial capacity is encouraged. Nowadays, the business ecosystem generated around Rabanales 21 has an enormous growth potential, where the R+D+i is the main axis of technological activity.